Stephen Harper dropped the writ this morning with a speech that laid out his plan for Canada and his message for the campaign. With a sombre face, he warned Canadians of the dangers of voting for the other guys, and repeated the same lines he told us all back in 2011 when he won a majority. The plan from the Conservatives for this election is clear: Stay the course, cause it could be much worse. Now, I am not an expert, but has this line of attack ever worked when there wasn't a credible threat from outside, a truly weak opposition (like the UK Labour Party or 2011 Liberals), or an ongoing war? Harper offered nothing new, but perhaps this is because he believes that appealing to his base, who are by and large happy with him, will win him the election. This may prove to be a strategic error. The Conservative party have very little room to grow with their second choice numbers down to 6%, and they only grew their support a few points in the election that won them a majority. But this election is different. The opposition has renewed vigour, particularly the Liberals, who were very deeply down the hole last time, but will likely grow throughout the weeks if Trudeau turns out to be a good campaigner. The same can be said of the NDP. As people get to know Tom Mulcair more, his numbers may improve, and both of the opposition parties have a chance of taking votes from the Conservatives in key split ridings in BC and Ontario. Harper is counting on vote splitting to push him over the top, but if the Liberals are too strong, it will hurt his chances. This is why the Conservative ad machine is particularly fixed on Trudeau. They want to keep his numbers low so they can take those crucial Liberal-Conservative split ridings. Harper has also chosen to play the fear card on the economy. He assured Canadians that his party is the only party that can safely navigate Canada through the current economic uncertainty. He touted a balanced budget that isn't actually balanced. He also raised fears about Liberals or the NDP getting their hands into the coffers, warning of record deficits. The message is that if you want change you must be out of your mind, and that there is no reason to change course cause we are doing so well. However, many Canadians do not agree. The problem with this line of argument is that voters may see it as ignoring what seems to them is an obvious problem in the economy. If the Conservatives continue down this route (which undoubtedly they will) if the economy gets worse they will risk sounding foolish talking about how great things are going. What may have worked as an argument when the economy was doing fairly well will not necessarily work now when it isn't. The Conservatives also took another line that I found a little bit surprising, which was the choice to try and turn what will likely be an economy election into an election about national security. Harper in his speech talked about the rise of ISIS and threats from Russia, and the need to protect Canadians from what his tone suggested was an imminent terror attack. He also took swipes at Trudeau and Mulcair by suggesting that it would be too risky to change to a government that would be soft on terrorism. National security as an issue that can encourage voters to stick with the incumbent (like the 2004 US election) but right now Canada is not under any particular or direct threat, and if we get more bad news about the economy in the coming weeks, Canadians are not going to vote based on security issues, they will vote for the party they believe is best suited to fix our economic situation, and after almost 10 years, they may feel it is time to give someone else a chance. The other problem lies in the question "Why call an election now? 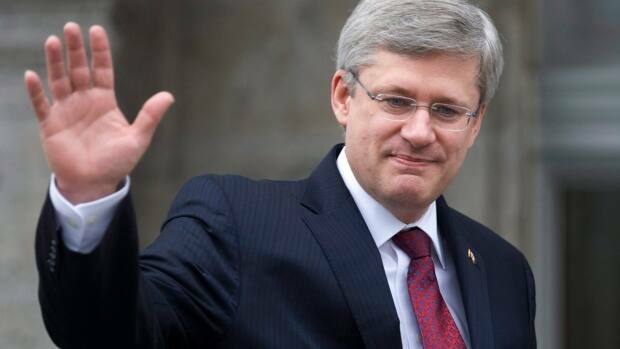 ', which Harper was unable to answer adequately. The truth is that he wants to starve his opponents and increase voter fatigue, but if voters see this as yet another partisan move from the Conservatives that is going to cost taxpayers a lot of money, it will fit into the narrative of Harper as a bully, and it may not be a question that goes away so easily as they might hope. What was most concerning sign for the Conservatives based on this opening speech was the rather Republican style strategy of appealing only to those who are already going to vote for them anyway, instead of trying to attract other voters. The Conservatives are hoping to pull off a David Cameron style surprise majority, praying that a silent voting majority will show up to the polls and reward them, but the UK election of this year was more similar to the 2011 Canadian campaign than the situation in 2015. The Labour party collapse is quite similar to the Liberal party collapse, but the Liberals are in a much stronger position this time, and their leader is affable and his policies will attract the former Liberal voters who stayed home last time, which will take seats away from the Conservatives. With Quebec in play after the collapse of the Bloc, it will prove very difficult for Harper to achieve a majority in the current situation. He needs to try and offer something new that will appeal to Canadians, but has chosen instead to be somewhat unimaginative, stick with his base, and roll the dice on the chance that people will be too afraid to vote for change. It is a risky proposition. Election 2015: Who is Canadian?